The British Orthopaedic Society 19th Annual Conference #BIOS17 has just taken place this weekend here in Carlisle at the Milton Hilltop Hotel. Surgeons came from far and wide to connect and engage with strengthening leadership through sharing knowledge and skills. I was asked to join the conference by Professor Suresh Rao the chair of the organising committee to support 'Showcasing Inspiring Leaders'. As a Motivational Speaker I provided an introduction for my company Bespoke Minds and to engage the surgeon's with EI (Emotional Intelligence). A panel discussion on Medical Tourism of which Gareth Presch of World Health Innovation Summit was the Convenor was followed by our 'Speed Mentoring' part of the programme. This was the time for all coaches to provide motivational mentoring for all surgeons. There was a warmth and collaborative feel about the event. In attendance were several Carlisle Ambassadors - Gareth Presch World Health Innovation Summit, Paul Thorburn of Tech4, Tristan Josh of Eco-Tech Systems, Paul Crooks of Cache4 IT Solutions. As day 1 came to a close there was time to relax and enjoy some music with our local band Hardwicke Circus who were fantastic. Day 2 began, and not only did the conference bring in surgeons from all over the country, but also their families travelled with them. It was a great way to connect and learn about their culture. There was also a programme of trips provided for the families to see the local area. 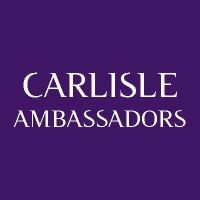 It was a chance for Carlisle to showcase what an amazing diverse city we have to encourage stronger links for medicine, culture, in business, travel and leisure. It was brilliant for me to work alongside some NHS inspirational leaders mentoring at the conference as I was the only coach outside of the NHS that was invited to take part. 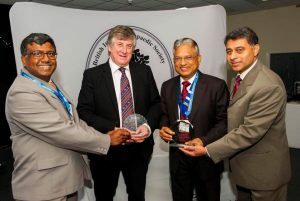 A couple of coaches whom I met and worked with were Nusrat Latif (CEO at Medicine Gov) and Dr Simon Forester (Clinical Psychiatrist and Coach). I was completely unaware that when I was providing my introductory speech about myself and my business that all Motivational mentors were being judged also, and I won the speakers award at the conference which I proudly accepted on Saturday evening. With this conference being such a huge success, I am sure there will be much more opportunities to bring these larger events to the city and that we should grow to understand that collaboration is key to having successful events such as these in the future.